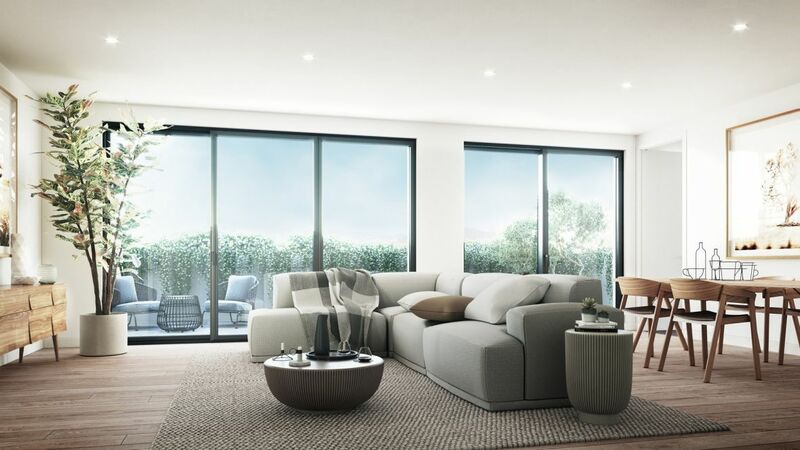 Melbourne's south-east apartment market is set for a major boost with Melbourne developer Steller launching three projects in two weeks across Carnegie, Bentleigh and Cheltenham. Urban.com.au is currently tracking Steller's project pipeline valued at over $4.2 billion, which includes its first high-rise foray in South Melbourne, working alongside longtime collaborator architect Ewert Leaf. Already the partnership has yielded hundreds of apartments across Melbourne's South Eastern suburbs. Steller also recently commenced construction on the first stage of its $80 million Continental Hotel redevelopment in Sorrento. The major redevelopment will re-imagine the 143-year-old icon as a luxury accommodation, wellness, recreation, entertainment and dining destination, with the heritage hotel restored as a leading hospitality and events establishment, along with the addition of three new proposed interconnecting buildings, which will include premium hotel rooms and a wellness centre including a day spa and gym. Steller's trio of new apartment developments are all located within maturing apartment markets which are well serviced by public transport and within close proximity of retail strips, schools and supermarkets. Carnegie and Bentleigh in particular have benefited from the Victorian Government's Level Crossing Removal program which included the reconstruction of the respective stations, removing the conflict between rail and vehicle, while easing congestion. Additionally, the three projects align with Steller's strategy in the south-east of delivering low-rise developments of around 30 apartments which are well designed and offer residents a high level of amenity. Located within the heart of Carnegie, Laila comprises 35 apartments across four levels, within walking distance of the Koornang Road retail and dining strip, green open space and the recently rebuilt Carnegie Station. The project also capitalises on its proximity to Chadstone Shopping Centre and Monash University’s Caulfield campus, both just just five minutes’ drive away in either direction. Ewert Leaf's design for the exterior of the building allows it to sit comfortably within the low-rise streetscape. Employing a neutral palette of contrasting shades and highly textured materials, Laila is articulated as a series of buildings rather than one singular mass, with the upper level setback and designed to be visually recessive. The built form has also been designed to maximise privacy while minimising overshadowing to adjoining properties. Laila's mix of one, two and three-bedroom apartments, each come with one or two bathrooms, and private outdoor spaces which seamlessly connect to the interiors, with large windows providing living areas with ample natural light and ventilation. The interiors feature timber flooring throughout, while kitchens are appointed with sleek black ILVE appliances and shaker style cabinets. 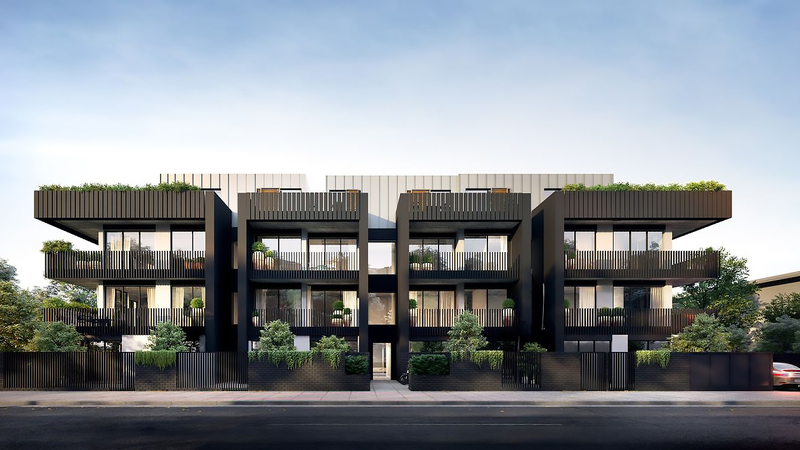 Ewert Leaf are once again the architects behind SORA, a four-storey low-rise of 27 apartments located 15km from the Melbourne CBD in Bentleigh. Providing a mix of larger one, two & three bedroom apartments, SORA has been designed to appeal to professionals, couples and families. 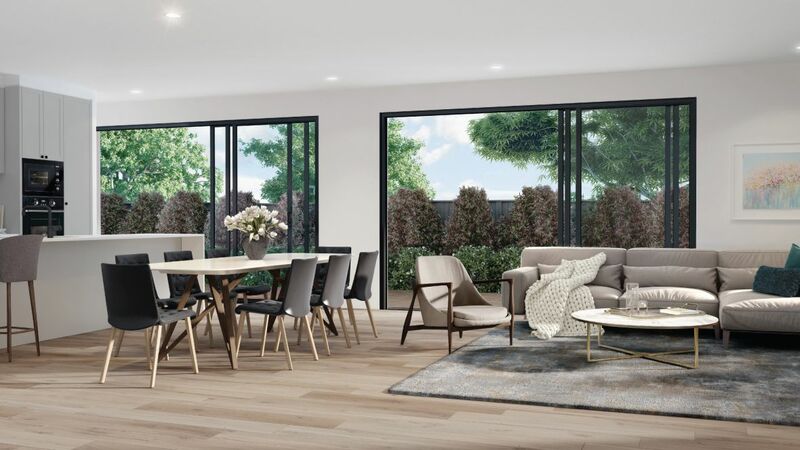 Situated within walking distance of Bentleigh Station, SORA also benefits from its proximity to Coles, Target, and the Centre Road retail strip which provides an array of essential services and amenity. A number of green spaces are also located within a short walk. SORA's exterior is characterised by its tiered form, and combination of timber, brick and textured concrete with planters and vegetation providing green flourishes on the facade. The building is expressed as two forms to respond to the built form along the Hamilton Street and to minimise its impact on the streetscape and surrounding properties. Internally, SORA comes complete with ILVE kitchen appliances and much like Laila, shaker-style cabinetry and natural timber flooring. In keeping with the desire to provide apartments with natural light and ventilation, large windows have been provided which also allow for a green outlook and seamless transition to the outdoors. Set to launch to market in the next week, this four-storey building comprising 34 apartments has been designed by regular Steller collaborators, Ewert Leaf. Look out for Urban.com.au's feature on Cheltenham's development pipeline including Maude next week.